Mon - Thurs: 10 am - 8 pm Fri &amp; Sat: 10 am - 9 pm Sun: 11 am - 6 pm Holiday hours may vary. From I-25: access 6th Ave., West to Wadsworth Blvd. South. Take S. Wadsworth Blvd. to Alameda Ave. From I-70: Access 6th Ave. East to Wadsworth Blvd. South. Take S. Wadsworth Blvd. to Alameda Ave. Call it energy, call it charisma, call it whatever you like - Belmar has a certain something that is impervious to time and fashion. And with a great mix of national tenants, local shops and boutiques, you have it all. Belmar also offers an eclectic assortment of dining and entertainment choices. Dinner and a movie, or coffee and gelato...it all depends on where you point your feet. 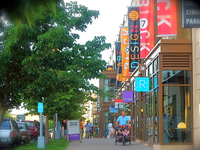 Belmar is the perfect place for Lakewood Colorado shopping, dining, entertainment & living with over 80 shops + restaurants right here in Lakewood, Colorado! 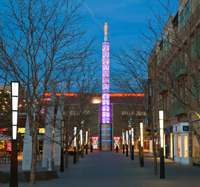 Century 16 Belmar offers the top movies with easy access to parking and dining! 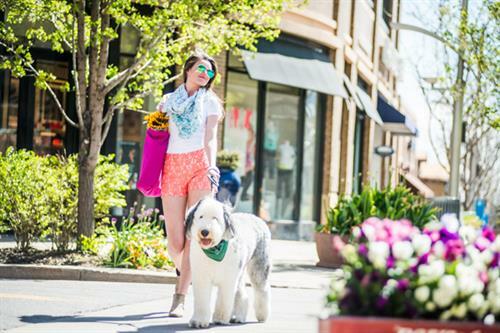 Shopping in Belmar is easy with the Belmar GIft Card. Music on the Plaza is hosted Friday evenings June-Aug.
Belmar offers patio seating at all restaurants + coffee shops! 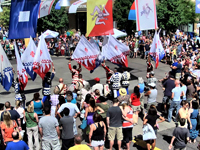 Festival Italiano at Belmar is held in September each year! Plaza at Belmar is home to events, live music and comfortable seating. Lily Pad Lane in Belmar connects guests to free garage parking.